Lately, I’ve been on a deviled egg kick. I kind of had forgotten they were a thing until my mother-in-law made some for a recent family gathering—so good! As usual, I’ve also been on my Instant Pot kick—I seriously love that thing. 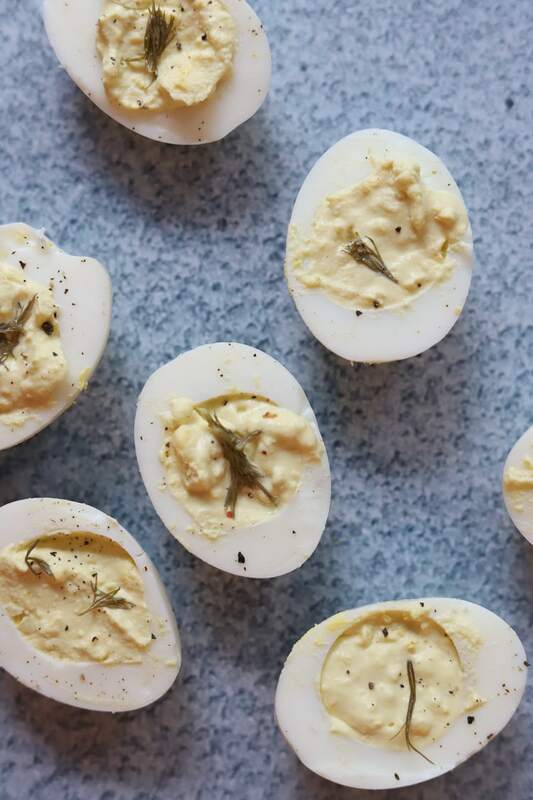 I decided to combine the two and turn Instant Pot hard boiled eggs into the best deviled eggs ever! 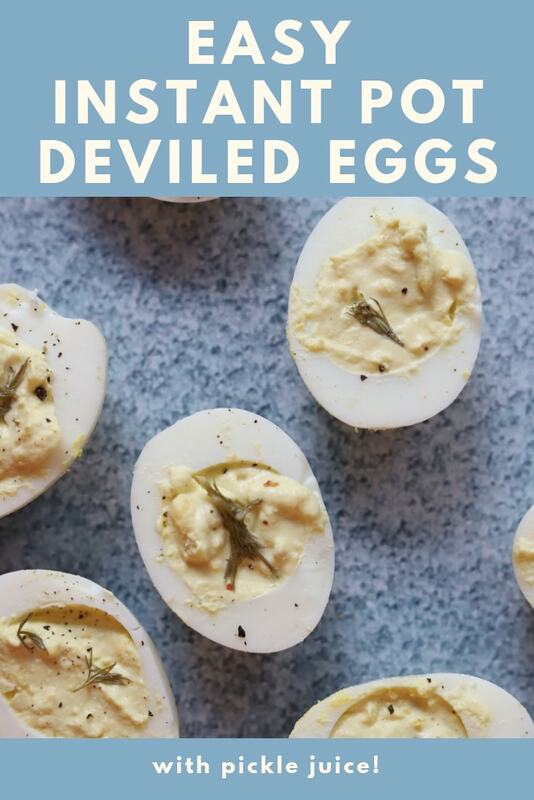 Not only are these amazing deviled eggs, but they are also sooooo easy to make! And, while I’m going to share how I make them, the great thing about deviled eggs are they are totally customizable. Have you all noticed that most people are extremely opinionated about their deviled eggs? Like, Team Mayo vs Team Mayo Is The Devil are battling it out on all the deviled egg recipes. I’ll just put it out there now—these do have mayo. They also have mustard. And they have something else kind of weird…pickle juice! I know, I know. You were on board when I said I had the best deviled eggs but the pickle juice thing might have just stopped you in your tracks. Hang with me! I promise you they are so good—and a great way to reuse pickle juice. 😉 Before we get to the pickle juice debate, let’s start with the basics—Instant pot eggs! How do you hard boil eggs in the Instant Pot? First, it might be good to address why you should boil eggs in the Instant Pot. Not only does it take about the same amount of time to hard boil eggs in the Instant Pot as on the stove top, but it’s 100% hands off. Meaning, you can put your eggs in and walk away for a bit rather than manning a pot of boiling water on the stove. Plus, whenever I used to make hard boiled eggs on the stove top, I’d always somehow break at least one, but I’m happy to report there have been zero egg casualties since switching to a pressure cooker method. So, how do you hard boil eggs in the Instant Pot? You’ll have to use the trivet that comes with the Instant Pot (if you are like me and lost yours, order one here). Manually release the rest of the pressure and place the eggs in an ice bath for 5 minutes. Careful—they will be hot! 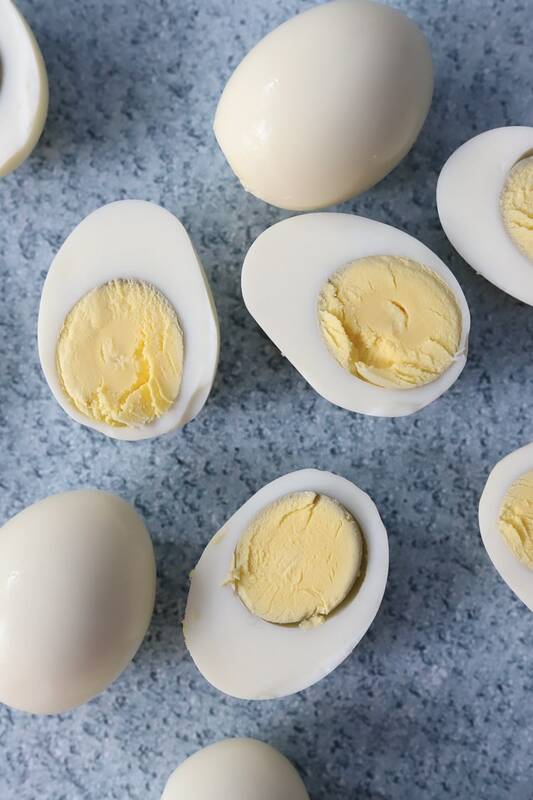 It helps to think of the 5-5-5 rule when it comes to making Instant Pot hard boiled eggs—5 minutes at high pressure, 5 minutes natural release, 5 minute ice bath. Easy! How do you boil eggs so they peel easily? No one likes an egg that’s difficult to pee! So how do you boil eggs so they peel easily? As soon as they are cold, peel right away! I never use vinegar when I boil eggs because I’ve never had an issue with peeling hard boiled eggs in the Instant Pot. 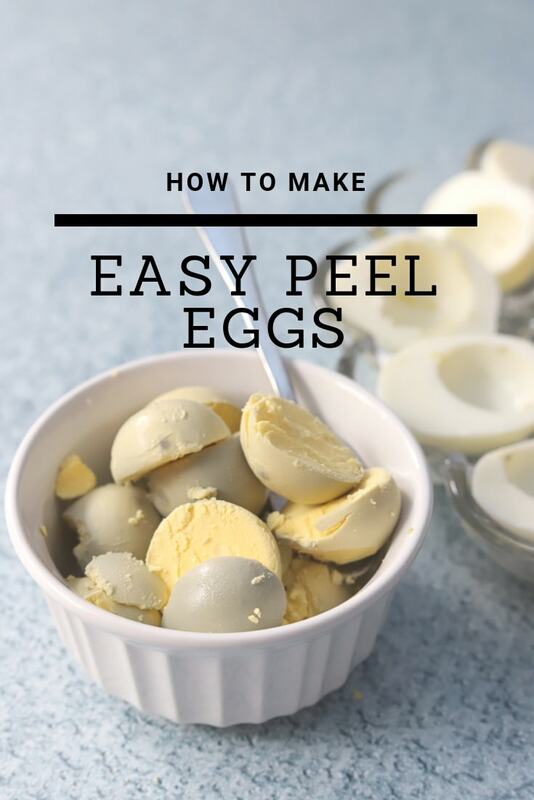 To me, the best way to get easy to peel eggs is to put them into cold water immediate and peel as soon as they are cold. If they sit, they are much harder to peel. Instant Pot hard boiled eggs FTW! 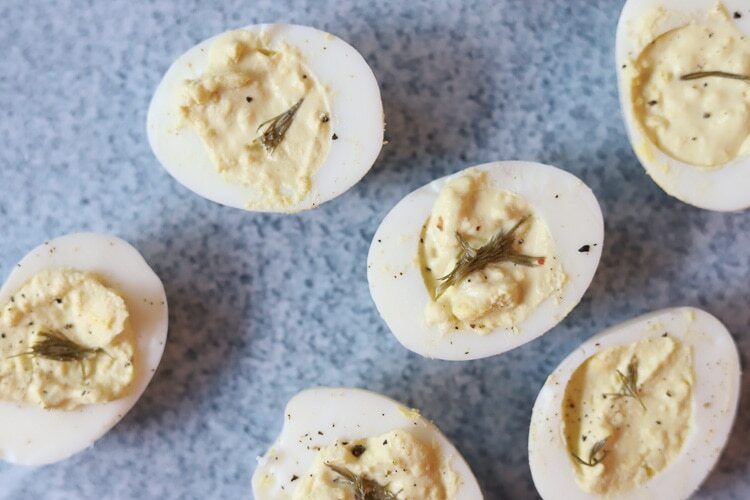 Now on to the good part—how to make amazing deviled eggs! 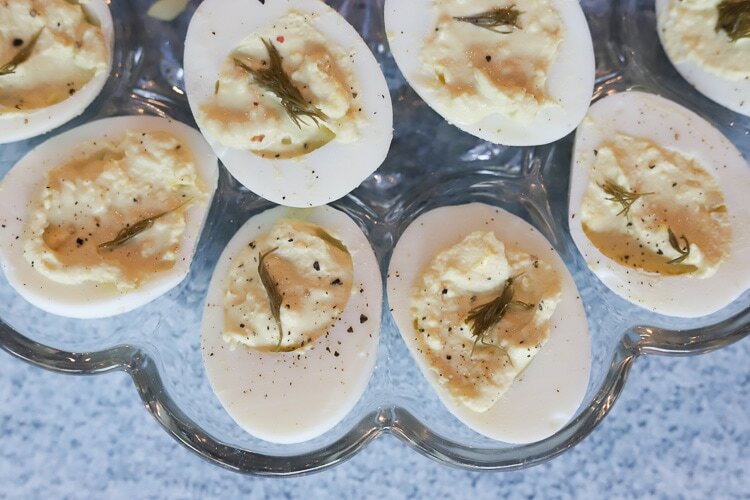 These deviled eggs are so easy to make and are a total crowd pleaser. 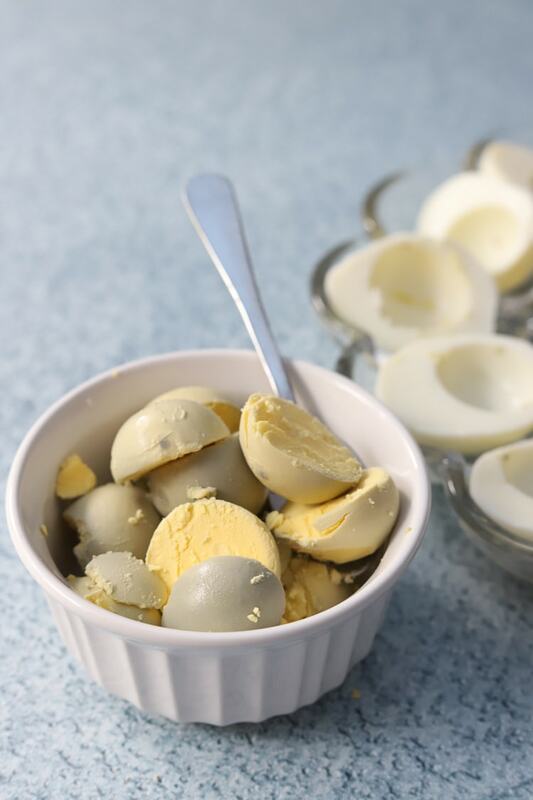 This classic, easy recipe is keto friendly and shows you exactly how to make simple hard boiled eggs in the instant pot that are super easy to peel. There’s a secret ingredient or 2 in here...pickle juice and dill! 🙂 So good! Make hardboiled eggs by placing the IP trivet at the bottom of the IP and add 1 cup water. Place eggs on top. Store in an airtight container and use within 3 days.